gardening – What's Cookin' @ Special Collections?! Happy 100th Birthday, Smith-Lever Act! Continuing the theme of extension and agriculture work, today’s post features USDA publications from the 1930s to the 1980s. As you’ll see, it’s not just about cooking, but farming, gardening, building, organizing, and buying. All the publications below come from the same collection in Special Collections: Ms2011-022, National Agriculture Publications, 1917-1990. You can see the full finding aid, with bibliography, here. Spring has (at least for now) arrived in Blacksburg. (Although this week we seem to have crashed headlong into summer…) A new box of materials arrived with some new seed catalogs, which got me thinking about the seed catalogs we already have. 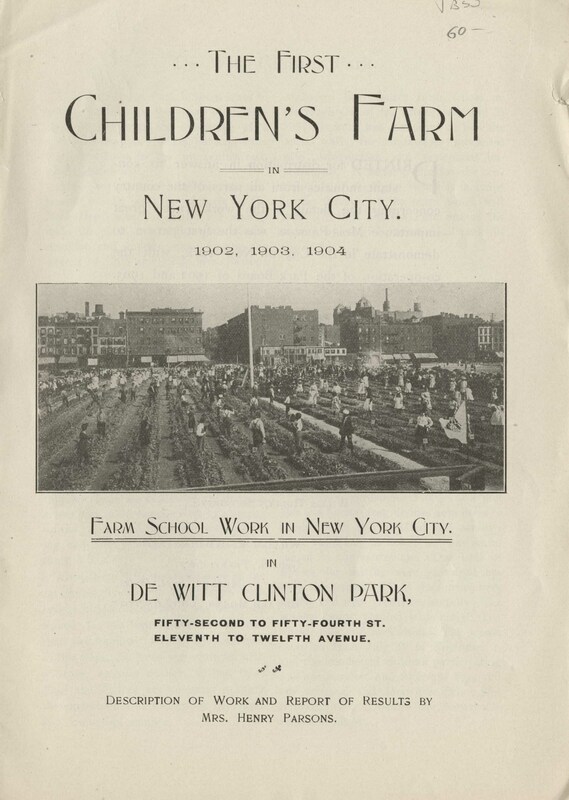 That, and the wonderful post on our Special Collection blog by my colleague about the first edition of another seed catalog I didn’t feature here. They represent both the History of Food & Drink Collection and the materials we have relating agricultural history. 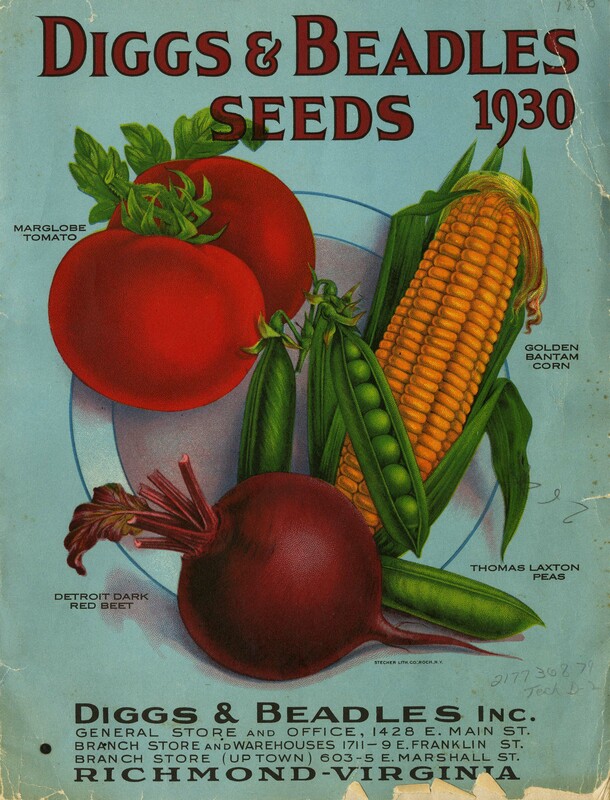 Whether you’re talking heirloom varieties in the past or common varieties today, seed catalogs can tell us a good deal about what people were growing both commercially and privately in the 19th and 20th century. And, you can still find print seed catalogs today from companies that have been in business for more than 100 years, in some cases! (Burpee, I’m looking at you!) Certainly, there are online ones, too, but the fact that print seed catalogs are still made says something about the link between form and physical design. Most seed catalogs do contain illustrations inside, too. (It’s important to know what your plants will look like!). However, most are in black and white. The occasional catalog will surprise you, though, as with Vaughan’s Gardening Illustrated from 1927. It features full color flowers (although the vegetable pages are still black and white). Of course you can use seed catalogs to see what be being bought and sold, what the prices were, and how companies were marketing their seeds. But today’s post is meant to remind you that we can think about them (and many other items in the History of Food & Drink Collection) as objects (and maybe even objets d’art) and not just as a mechanism to convey information. We have LOTS more where these came from (not even counting the new ones I mentioned that just arrived this week), so if you like seeds, cover art, or agricultural history, feel free to stop by. We can find something fun for everyone. And happy gardening! Despite the cold temperatures in Blacksburg (or perhaps to spite the cold), my brain is on warmer seasons. As a result, our feature this week is an 1850 tome by Robert Buist about gardening: The Family Kitchen Gardener; Containing Plain and Accurate Descriptions of All the Different Species and Varieties of Culinary Vegetables with Their Botanical, English, French, and German Names, Alphabetically Arranged, and the Best Mode of Cultivating Them, in the Garden or Under Glass; with a Description of Implements and Medicinal Herbs in General Use. Also, Descriptions and Characters of the Most Select Fruits, Their Management, Propogation, Etc. So, if that’s not a mouthful about fruits and veggies, I don’t know what is! There are some interesting illustrations of garden tools and of some gardening techniques, and a great deal of information for the gardener starting out. And a surprising amount may be of interest to modern gardeners, too! I like the focus on the practical and the home–the herbs included are “medicinal,” since home remedies would still be very common in 1850. The other element that caught my attention was the “Contents.” With a title that long, I didn’t take everything in before glancing ahead. So the tri-lingual list of veggies, fruits, and herbs intrigued me. You’ll notice all of the plants do have names in all three languages throughout, as well as the Latin. If you’d like to read further, but can’t visit us (or can’t wait till Monday), the Making of America project has the full text of the 1861 edition online. So, remember to eat your veggies this weekend (or at least read about them), and maybe we’ll treat you to dessert next week!